JUST WANT THE THRILL OF THE ZIP? After zipping and lunch, saddle up and ride through the beautiful countryside you just zipped over! The horseback ride included in this package is meant to be for beginners and children as well. We take the time to provide full basic riding instructions to our customers. Depending on riding skills and experience, the right horse will be found for everybody. After the ride a walk through the botanical garden and we return you to your hotel. Zip Line Only activity takes approximately 2 hours plus transportation time. 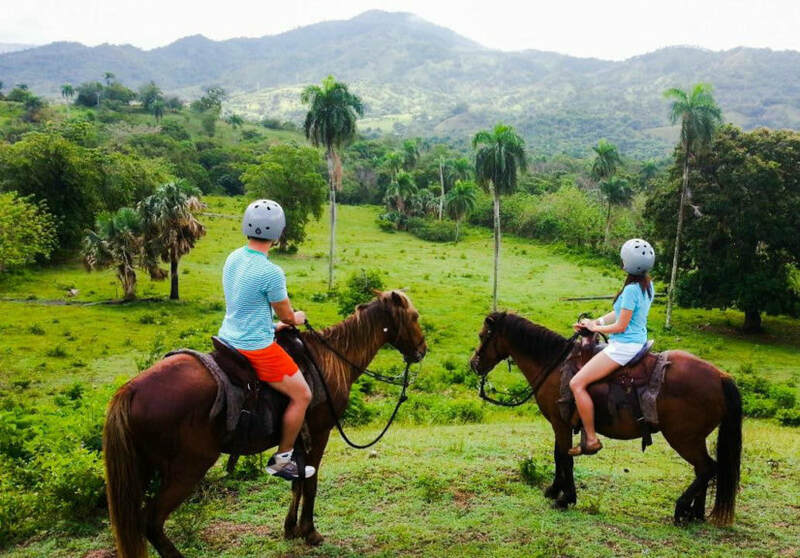 Zip Line & Horseback Riding activity takes approximately 4 hours plus transportation time. For transportation outside Puerto Plata City, there is an additional transfer fee payable in cash on pickup. Pickup times provided with the booking confirmation. Drive times vary based on where you are staying.